I just love coffee. I always make an effort to find out, wherever I am staying, a good coffee shop. These days, we have these modern cafes, which are very clean and have modern coffee brewing machines. Earlier in India, it was a problem to drink coffee at unknown places, because invariably, the pottery coffee cups in use would be with a blackish coating formed inside with years of use and suspicious cleaning practices such as the method of washing the cups, which usually meant just dipping the cups in a bucket of water, which itself was coffee coloured because of repeated usage. When the coffee was served in such cups, I would to feel suspicious about the brew served to me instead of enjoying my coffee . However later or few decades back, came the paper cups, which were followed by non reusable plastic cups. These cups being clean and healthy, I started enjoying my coffee again. Something similar happened with Sodas like Coke. I enjoy having few sips of a Soda along with my Pizza or so called Bombay Mixture. Earlier all Sodas were always packed in glass bottle, which meant that I had to finish the full bottle, even if I did not want it. The bottles were sent back to the manufacturers and were recycled. These days Sodas are sold in big plastic bottles. We can pour only the quantity, we want to drink, in a small paper or plastic cup and then dispose of the cup. The entire arrangement is clean and easy to use. Unfortunately, these facilities, which we find so convenient and clean, are also liked my some other living beings. Off course, there is no way by which these living beings can directly communicate with us and tell us about their new likings. Let us now move from this subject of Coffee and Sodas to a totally different one, that off Honeybees. The people who are in business of Honey Bee keeping or cultivation have noticed over several years, that there is a sudden drop in numbers of bees that are seen around. Apiologists and Entomologists call this sudden reduction in number as Colony collapse Disaster (CCD). 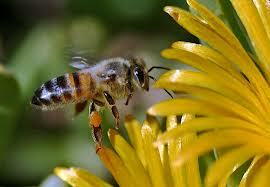 The readers may not be aware, that in India, almost 80% of crop pollination happens through Honeybees. 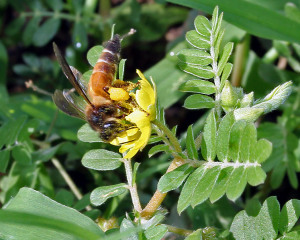 If numbers of Honeybees reduce suddenly and drastically, it is bound to have serious impact of crop pollination and effectively on the crop yields. This sudden drop therefore has started ringing warning bells with many agricultural experts in the country. Dr. S. Chandrashekhar is an agricultural scientist in School of Biological Sciences in Madurai Kamaraj University. He has recently complete an year long research project on this sudden drop in numbers of Honeybees in India and has published findings of his research in the ' Current Science' magazine. His conclusions are shocking and also thought provoking. Dr. Chandrashekhar says that in almost all areas, which are getting more and more urbanized, new stalls are continuously coming up, that sell Tea, Coffee and cold drinks containing high amounts of sugars. At all these places, no one uses glass cups or glasses any more. They all now use almost exclusively, non reusable paper or plastic cups. These cups are thrown in trash immediately after use. All these glasses and cups in garbage, have a small layer of sugar sticking at the bottom. Once Honeybees find out this new easily available source of food, they just give up their traditional method of collecting nectar from flowers and switch over to collect sugar sticking to the bottom of thrown away cups of beverages. When food is available so easily, even Honeybees are corrupted and change. Unfortunately, they do not realize that they are actually entering into a death trap when they land on sugar layers at the bottom of cups and get stuck there. They are unable to fly off again and eventually die. Dr. Chandrashekhar and his colleagues carried out his study at 5 different commercial Coffee bars in the state of Tamil Nadu, India. 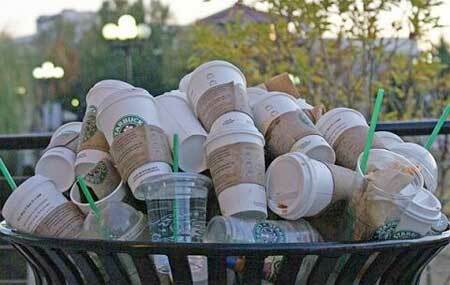 On an average about 1225 coffee cups are thrown in garbage by these bars every day. Dr. Chandrashekhar found within a span of just 1 month, as many as 25000 dead Honeybees in these cups. At least 23% of the Honeybees hovering around the trashed cups actually die with few more meeting their death after this garbage is moved to the Garbage depots. Dr. Chandrashekhar says that all over the world, 1300 Million cups of coffee and 800 Million cups of Tea is consumed everyday. With these figures in mind, we can as well estimate the number of Honeybees that must be perishing every day. According to Dr. Chandrashekhar, the Honeybees have an extremely short term memory and nomally do not visit the places where such cups are trashed. However once they find out such places, they would give up their traditional nature and trend of visiting flowers for nectar and start collecting leftover sugar from trashed cups. If we consider the fact that in India, 80% of the pollination required for agricultural production happens through Honeybees, it's importance becomes obvious. If this pollination is being harmed by the trashed cups, in which some sugary drink has been consumed, then it become crucial and critical that every effort must be made to stop throwing away these cups out in the open. 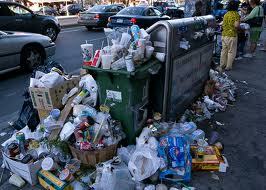 Such cups should be collected, carried in closed container and then safely destroyed without harming the environment. Dr. Chandrashekhar's research no doubt brings out this rather unknown fact. A very important piece of research that will have far reaching impact if not attended to on priority.